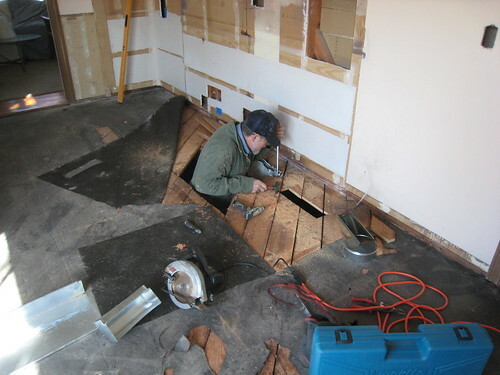 HVAC Work – Kitchen Renovations, originally uploaded by espeedy123. 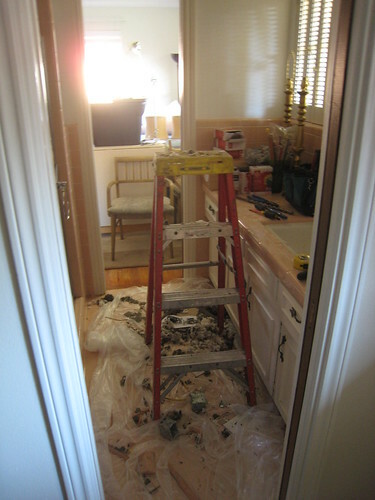 This photo says it all — big, unfinished mess. I had to have Joe my HVAC guy move the kitchen air vent over a couple feet so my new range can go on solid floor.